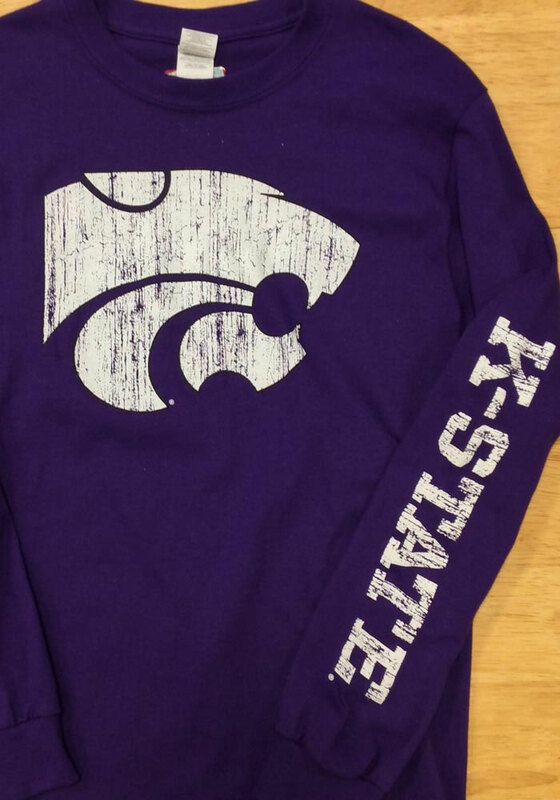 Show off your team pride in this K-State Wildcats Purple Distressed Long Sleeve T Shirt! 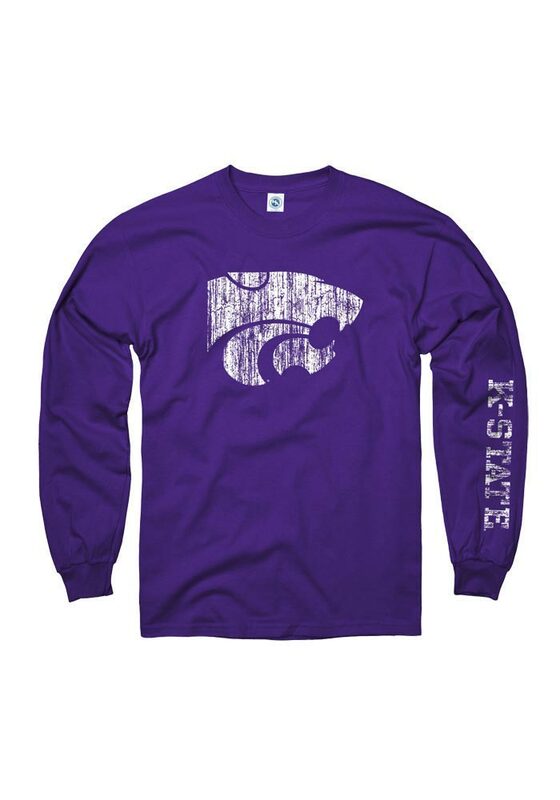 This K-State Wildcats Long Sleeve Tee features a distressed screen print of the Powercat mascot on the front and `K-State` down t. Make sure everyone knows you root for the Wildcats with this Purple K-State Wildcats T Shirt. Fear The Cats!